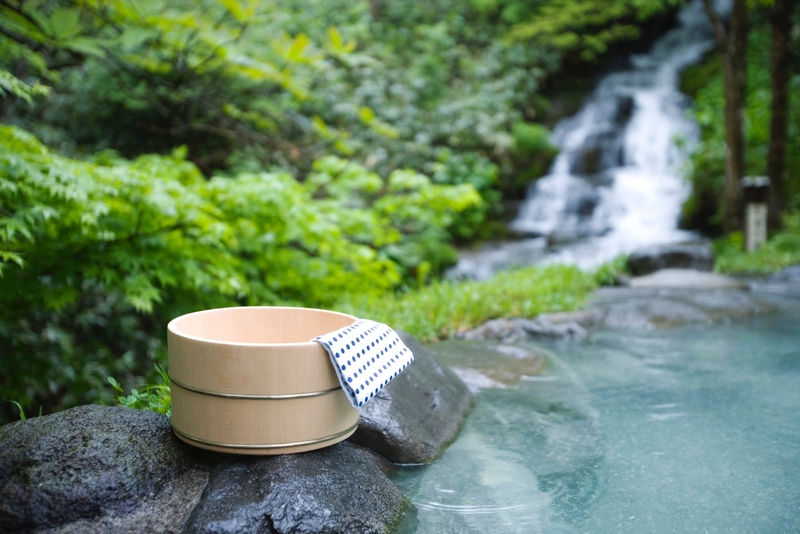 Enjoy an intimate bathing experience in one — or more — of Shikoku’s many natural hot springs. While it is the smallest and least populated of Japan’s four major islands, Shikoku is filled with a vast array of historical, cultural and natural gems. History buffs flock to the area for its ancient shrines while others come to continue the “88 temple pilgrimage.” Nonetheless, what every visitor should take the time to enjoy while on the Zen-steeped island of Shikoku is konyoku onsen, or mixed-gender bathing. Mixed bathing has been a part of Japanese culture since the 9th century. Sadly, more and more konyoku onsen are closing their doors due to the effects of a somewhat imposed “taboo” and an increasingly negative view of mixed bathing that many younger Japanese people have due to the bad manners of (mostly male) bathers. Experiencing and supporting this dwindling breed of onsen is not only a rare treat, it’s the only way to continue this old tradition. With proper etiquette and decorum at these previous community hubs we can do our part to help ensure they stay around for generations to come! With that, many of Shikoku’s konyoku onsen have not survived the passage of time. 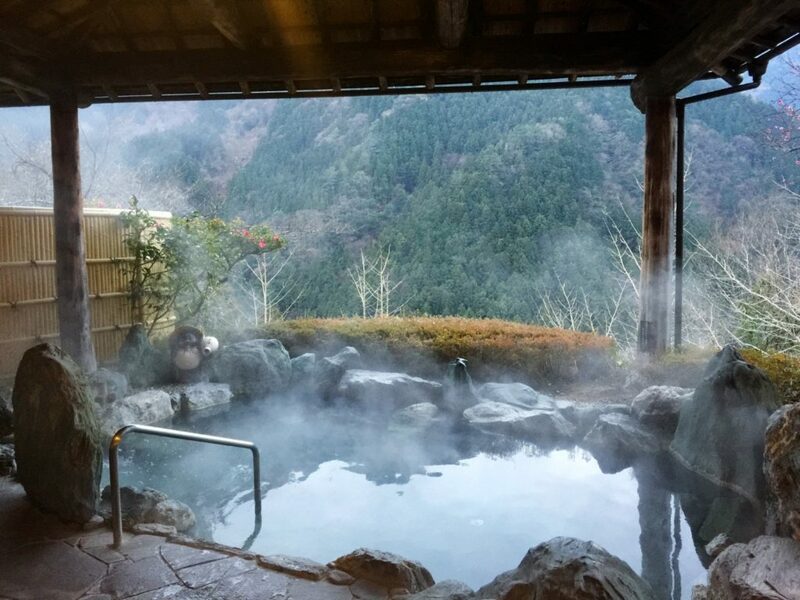 This list, therefore, includes many kashikiri onsen, or private rental baths, that can also accommodate mixed gender bathing while letting you soak up the best of the region with your partner, family or friends. This is another great way to experience onsen culture for those who aren’t keen on bathing with strangers. 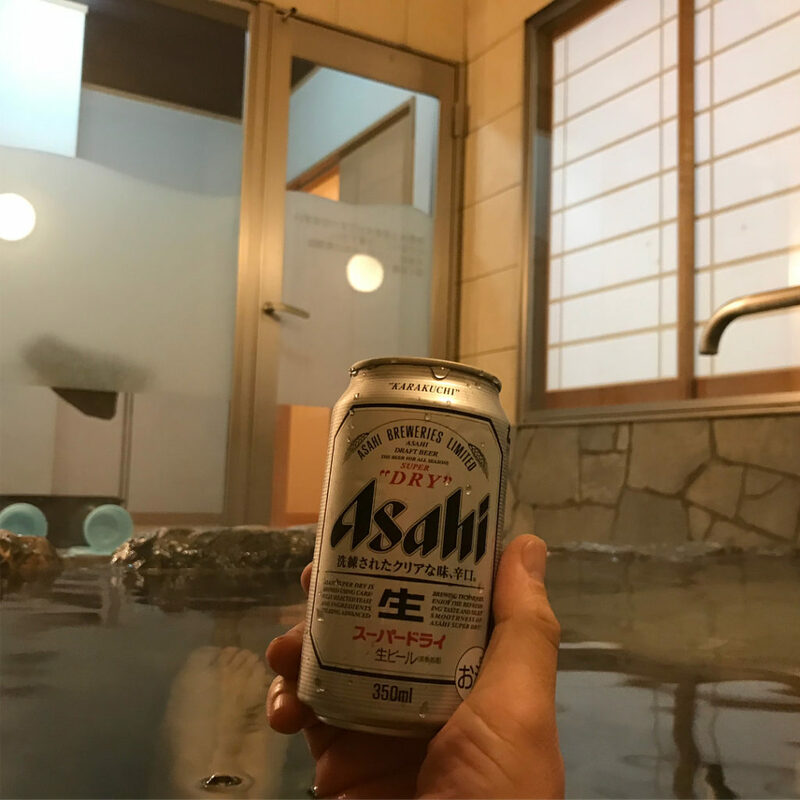 In the last installment of our series on mixed gender onsen across Japan, here is a list of nine great onsen in this regard that you can check out while visiting Shikoku. If you’re visiting Matsuyama in Ehime Prefecture, a must-see attraction is Dogo Onsen, one of Japan’s oldest hot springs. In December 2017, Dogo Onsen opened an annex to its original location, a mix of modern interior design and traditional Japanese art that mirrors Japan itself. Asuka no Yu is a luxurious visit for those who want to bathe in style — and privacy. Though the establishment is known for its public baths, the two luxurious private rental are jaw-droppingly gorgeous. 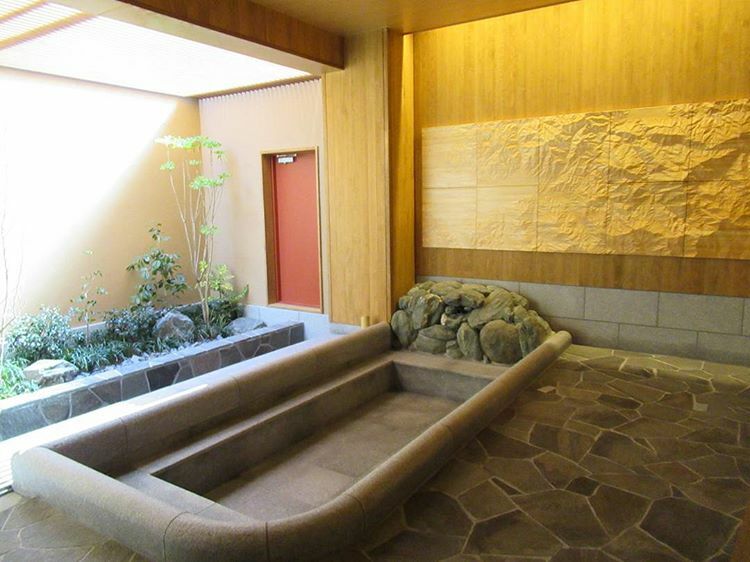 One of the baths, named Yushiden, replicates the Honkan’s Yushinden bathing room, a bath that was constructed in 1899 that was strictly reserved for the Imperial family. One of the best things about Japan is that many karaoke rooms here have something called “free time,” where you pay a base fee and can sing for hours on end without accumulating cost. Hoshi no Oka uses this same concept, except with a private rental bath. 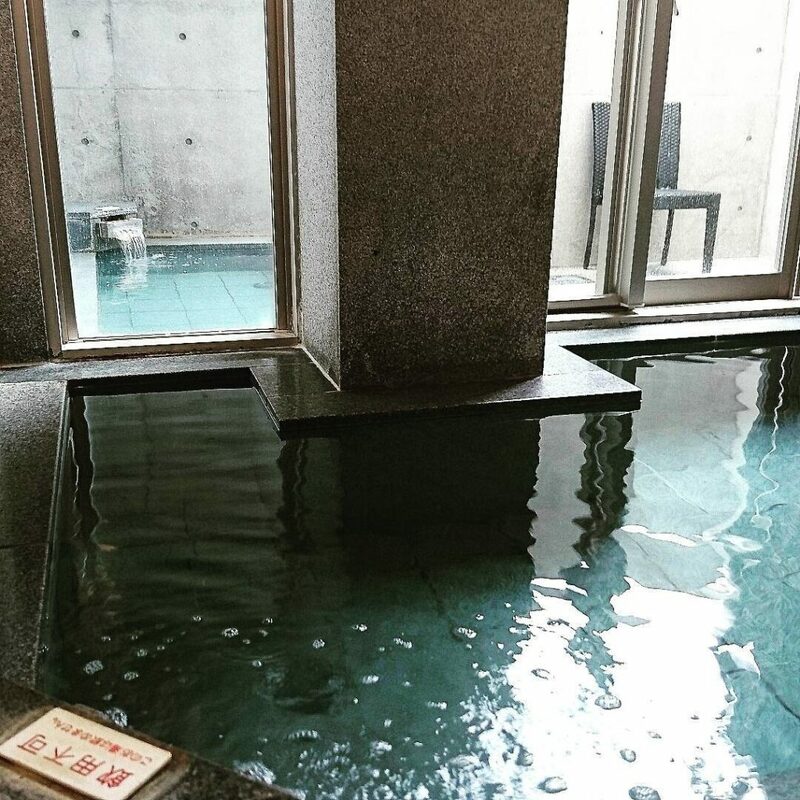 Of course, you can pay for a short 1 ½ hour visit, but for anywhere between ¥4,800 to ¥5,500, you can enjoy endless bathing and lounging in the attached rooms from 10 a.m. to 5 p.m. You can chose between 16 different onsen rooms, with some that have both an indoor and an outdoor bath. Hotel Kazurabashi is the namesake of the famous vine bridge, Iya Kazurabashi. This 45-meter long suspension bridge with creeping plants wrapping around its cables overlooks the Iya Valley and is one of three O.G. Japanese structures left of its kind. Today, these spans aren’t completely made out of creepers due to safety laws, so the vines are wrapped around steel cords that make it a modern suspension bridge. 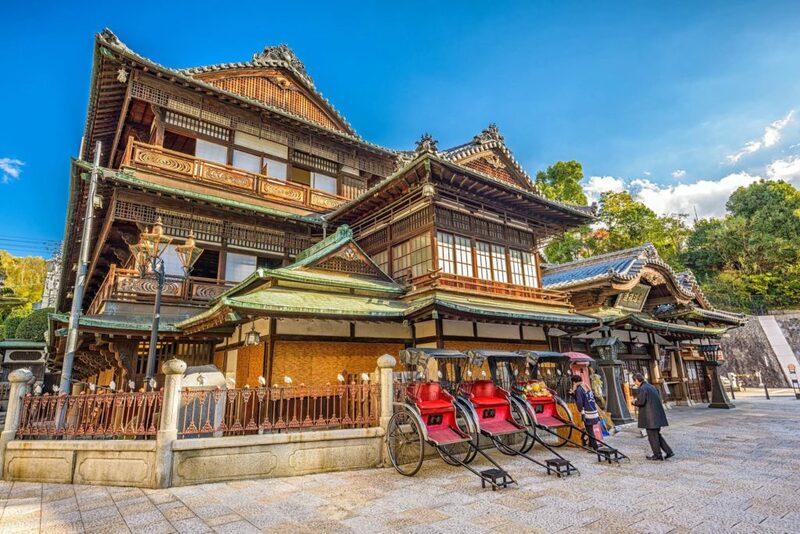 This historical attraction is only a short 20-minute walk from Hotel Kazurabashi. To make the visit more worthwhile, patrons who wish to use the mixed bath must ride a wooden cable car to the remote pool. 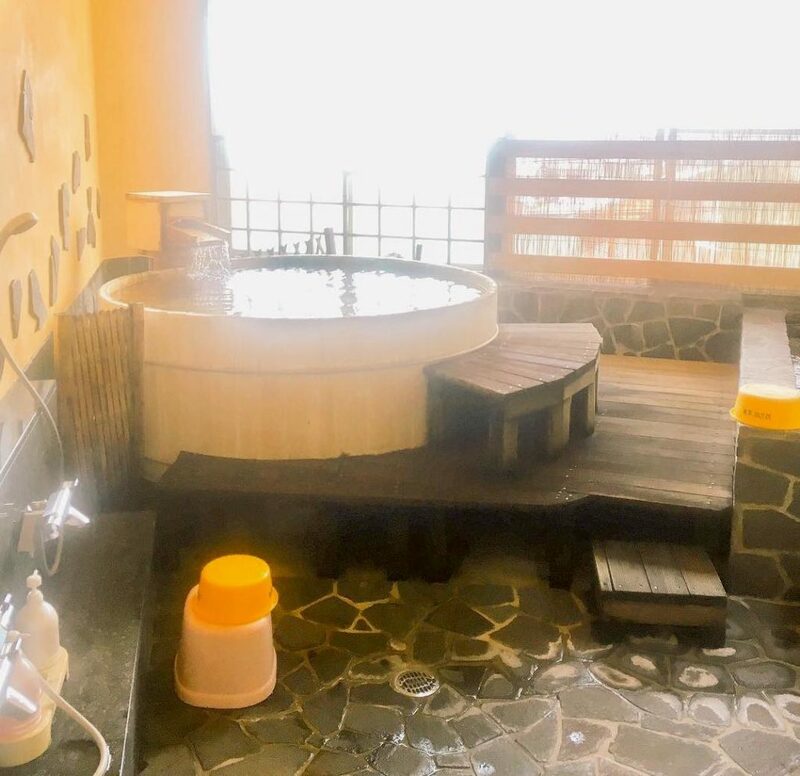 Sadly, in April 2018, the mixed outdoor onsen named “Take no Yu” was converted into a private rental bath. However, the beautiful, secluded bath is a perfect destination for couples looking for a quiet moment together. Camping is great, but pair that with a private rental onsen and its pure magic — and Ikoi no Sato has both of these perks! Located deep in the mountains with gushing blue rivers cutting through, Ikoi no Sato is a popular destination for families and campers who wish to enjoy the cozy log cabins and riverside activities. This location has both public (but separate) bathing facilities and private rental baths that are perfect for relaxing your body with good and familiar company. A perfect escape after a busy day, Iya Onsen Hotel is just a 15-minute drive from the Iya Kazurabashi bridge. Though this location does not have a public mixed onsen, it’s private rental bath is worth a visit. After making an appointment, you and your company are led to an outdoor stone bath with a beautiful view of the teal-colored river.The bath is rented out in 60-minute increments, giving you enough time to relax and bathe before dinner. If you’re one who doesn’t need anything extravagant or expensive for a short stay, Kamitoku is the way to go. Only a six-minute drive from the ocean, Kamitoku is your standard cozy onsen with private rental baths. Visitors have the option of renting a room with just an onsen or upgrade to a room with both an onsen and sauna! 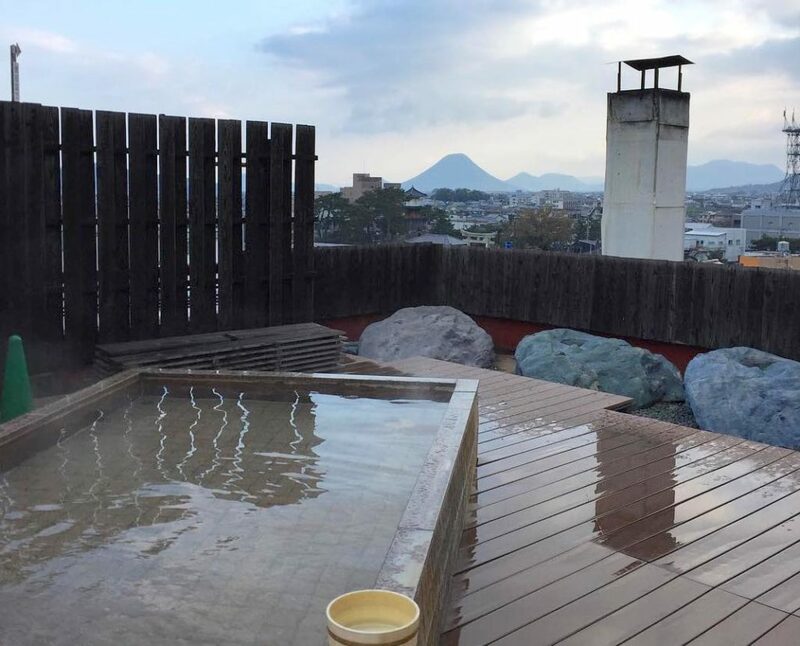 A short 20-minute drive from Matsuyama Castle can take you to the homey Onsen Yurara. With a spacious lounging area, bathroom and stone bath, Onsen Yurara is one of the best hot springs to get the most bang for your buck. On a side note: if you happen to have your furry companion with you, Onsen Yurara also has a dog spa! [/img-copyright] A view from the private onsen. When traveling in large groups with friends, sometimes you need a little private time with your significant other. Seapa Makoto can provide you with the opportunity to bathe with your partner, or a group of friends, all at once. With several rooms to choose from, you can opt for a cheaper room with a view of the surrounding mountains or splurge on a more expensive room with a seaside view and a sauna. If you don’t feel like going anywhere else post-bath, renting the room for the whole night is also an option. Located only a short, 16-minute car ride from the famous Kotohira-gu, or Konpirasan temple, Yumoto Yachio is a great ryokan to stay for a culture-loving visitor. Konpirasan is the main temple of many scattered throughout Japan that are dedicated to those who spend their lives out at sea. Every year, visitors from around the country make the pilgrimage up all 1,368 stone steps to the ancient Shinto shrine to get a real slice of Japanese culture. Finish off one historical activity with another by enjoying a mixed onsen experience. 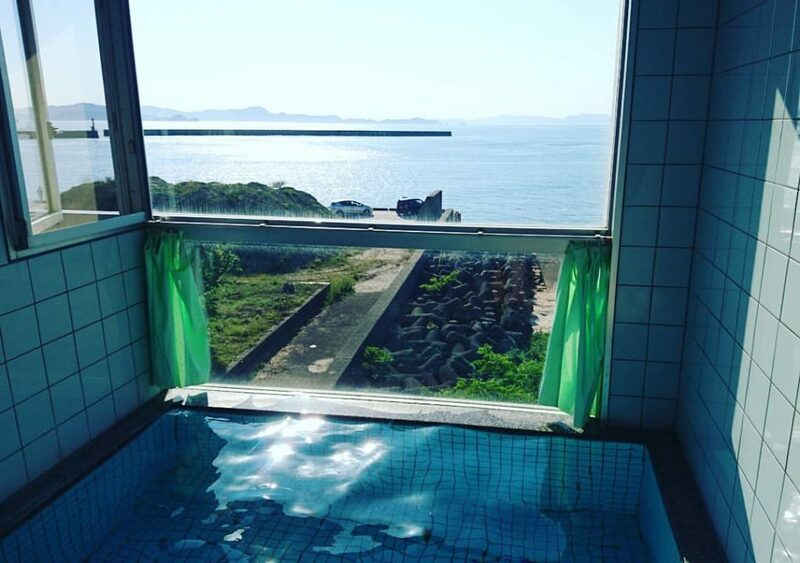 What makes this experience even more exclusive is that this mixed bath is the only one found in all of Kagawa Prefecture and is only open to those staying at the inn. A trip to Shikoku involves discovering and experiencing Japan’s more intimate and quiet side. What better way to relax during a cultural visit than to enjoy one of the region’s many onsen? Whether it’s with friends or a lover, bathing together in the natural paradise of Shikoku is an absolute must. Thanks to Rod Walters of Shikoku Tours for his help with this article. 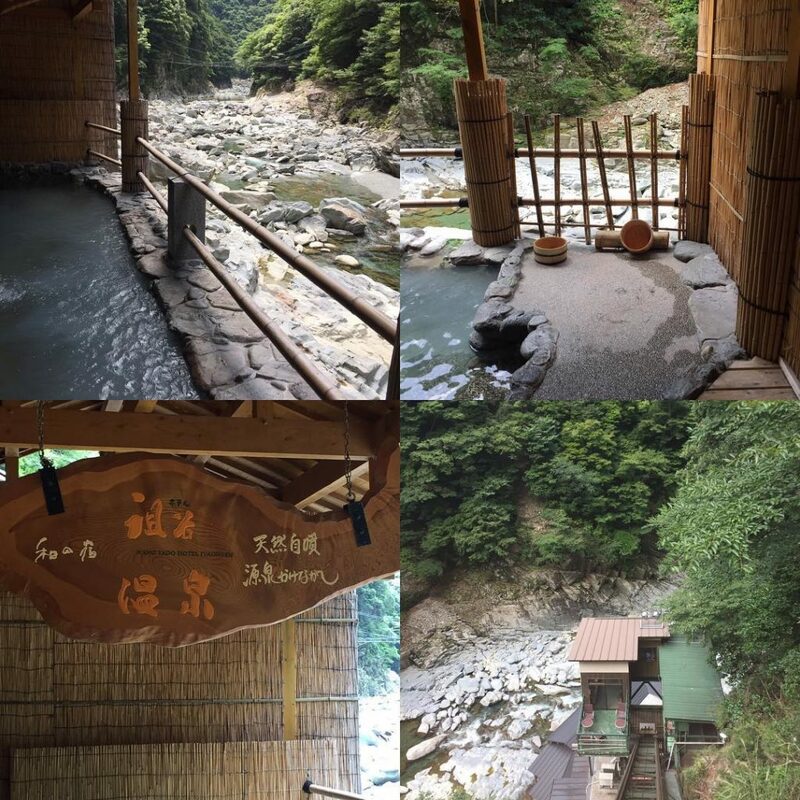 Do you know of any mixed bathing onsen in Japan around the Shikoku region that we’ve missed? Let us know in the comments! 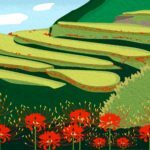 One writer went around pestering people to find out exactly how much rice could be harvested from a field that measured one tatami mat in size. Here's what he found.